into developing this prized beauty. 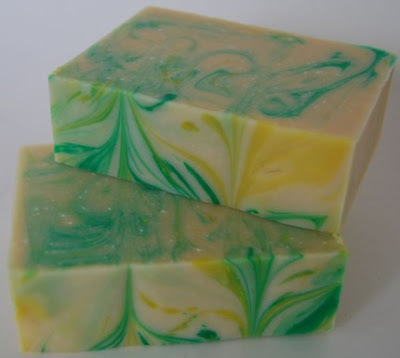 I just had to feature my Sugar Lime Vegan Handmade Soap made with coconut milk. This is one of my new creations...I'm absolutely in love with the aroma and the creamy consistency. It's like sipping on a Mojito on a hot summer day. 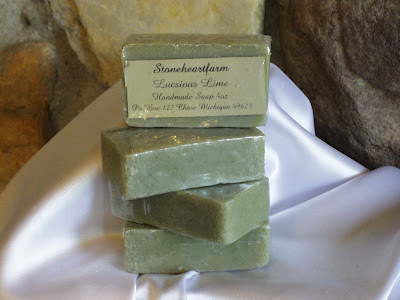 Bursting with Lime essential oil this soap is a real refresher. 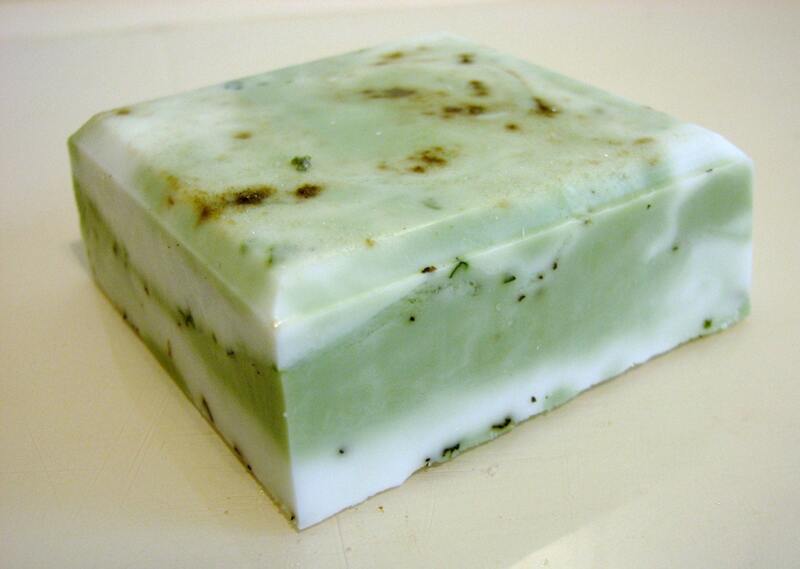 Sugar and mint leaves are embedded throughout the soap for exfoliation and a true Mojito experience. It's an absolute delight in the shower. Very refreshing and a great picker upper when you are feeling a little down." Do you have reactions to scents? or essential oils? allergies? Well look no further, this soap is all natural and unscented. Perfect for all skin types and doesn't break the bank either at only $3.95 a bar. 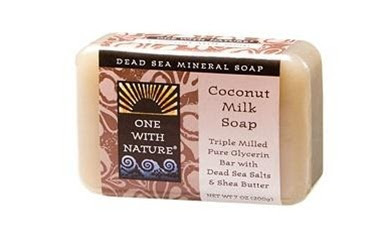 As you all know, coconut milk is one of the best lathering soaps so this is also a wonderful bathing experience. Enjoy! I absolutely love the raw look of this soap. Very natural and earthy. They use french green clay to get the beautiful green color. I also love the combination of lime and coconut. Very tropical and exotic. Hope you all take the time to take a look at their collection of soaps. I really like their natural and earthy appeal. 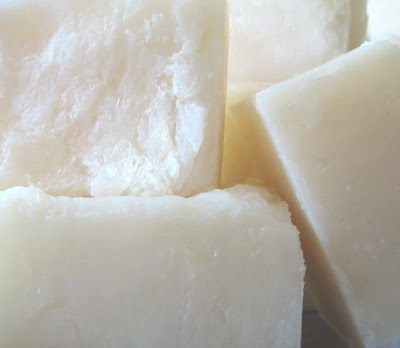 This simple, but elegant coconut milk soap is the perfect example of a nice creamy natural coconut milk soap. No frills, just good old soap. It looks good enough to eat, like a big coconut slab. Yummy! 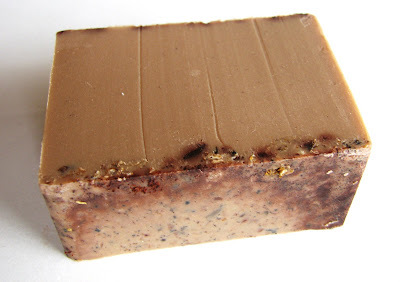 When creating this blog this was one of the soaps that made me think of the idea as it's like a Thai dish. 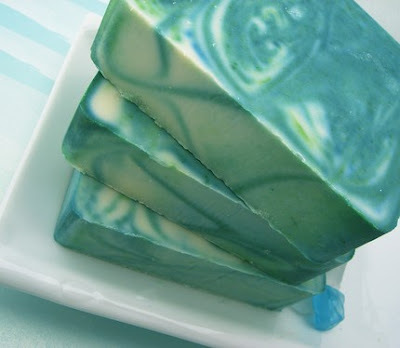 Coconut milk, ginger, lemongrass come together to make this amazing coconut milk soap. 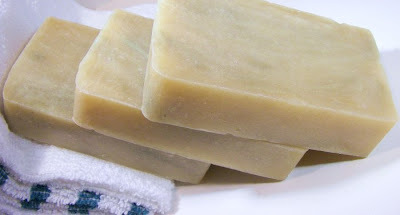 Seeing that most of my soaps start with a coconut milk base it was a natural choice to have a blog that featured all coconut milk soaps from around the world. I'm a big fan as you can tell of using coconut milk in making handmade soap. If you haven't tried this one of mine, I highly recommend it. It gets overlooked quite often, but it truly deserves some attention. It's a pure delight in the shower. I decided to feature this soap not only for it's beauty, but the packaging is adorable. I love the theme behind it and if anyone has ever been to the Caribbean they know the smell described in this soap. I've been many times and just love the spices and aromas of the Caribbean. 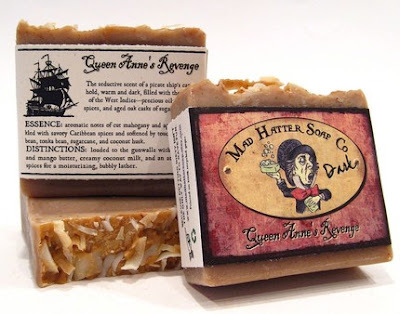 I give this soap a thumbs up for fantastic presentation and the wonderful essence described. Hope you all enjoy it. 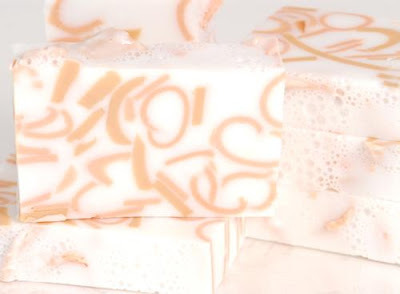 Well today's coconut milk soap is quite an eye catcher. I was very happy to stumble across this one on Etsy. I love the gorgeous ocean colors. The scent is described as having citrus notes of limes and grapefruits over crisp green herbs and a woody base. It is made with the cold-process method and includes rich cocoa butter for emollience, avocado oil for it's nutritive and moisturizing properties, and coconut milk for it's richness. So I hope you will take a moment to check out their shop on Etsy. When you think of coconut what do you think of? The tropics right? or maybe places like Hawaii or Fiji might come to your mind. That is why I picked this soap. It uses the whole coconut, well except the shell. They combine a rich blend of Virgin Coconut Oil, Coconut Cream, Coconut flakes and Cocoa Butter to make this coconut deliciousness. I just couldn't resist adding it to the blog. Hope you all enjoy it. A little info about the Handmade Coconut Soap Blog. Pictured above is my Chai Tea coconut milk soap. Now that I have a few followers I thought it was time to give a little more info about this blog. I am a handmade soap maker, I love what I do and love sharing my craft with the world. 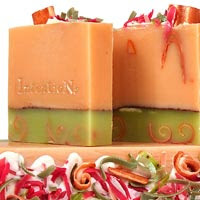 Handmade soap is kind of like food, there are many different kinds that are delicious and you want to try it all. So I got an idea one day to feature all kinds of soaps that I like or that I feel my readers would like and put them into collections. All of the soaps I make contain coconut milk so I really wanted to take the time to feature some other soaps made from this delicious natural treat. Just like food I don't think you should limit yourself to one kind. We all try different types of food from Mexican to Thai and we all like different foods. I feel soap is the same way...you might feel like Italian one day and try olive oil soap and then like Thai the next and try coconut milk soap. You might go to an Italian restaurant and the food isn't very good, but then the next day you try another Italian restaurant and it is the best. This is why I decided to put collections together so people could try many different types of one type of soap in one place. 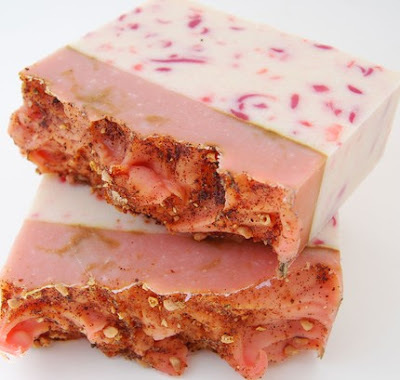 If you are a soap maker and think that your soap would make a good addition to any of these blogs please leave a comment to this post with a link to your soap and I will get back to you. Thanks so much and keep soaping! 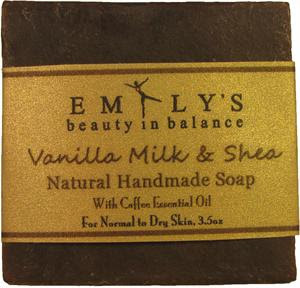 Scented with the warm earthy aroma of patchouli essential oil. A fantastic blend of rich lathering coconut oil, shea butter, olive oil and many other great skin conditioning oils with the earthy scent of a fine quality dark patchouli. This bar is full of so many good things…just like a garden! We started by infusing sunflower and rice bran oils with flowers and herbs like chamomile, lavender, comfrey and peppermint. Then we added rich moisturizing oils like olive and shea butter along with healing aloe vera and creamy coconut milk. 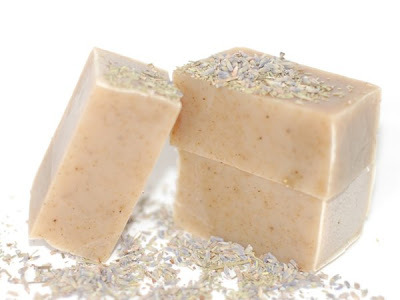 Ground lavender and chamomile buds add gentle exfoliation, and a variety of essential oils like geranium, clary sage, neroli and rosemary add a spicy herbal scent as well as a variety of healing and soothing properties to round out a very nice, summery bar of soap! Saponified oils of: Palm, Coconut, Rice Bran, Canola. Fragrance, Coconut Milk, FD&C Colorant, White China Clay. Fragrance Description: The beautiful aroma of a tuscan garden. Not a perfumey floral. A sweet fruity bergamot/floral type with top notes of citron, bergamot, orange and pear; a floral violet, rose-geranium middle note and a sandalwood, sweet heliotrope dry out. Top notes of sweet southern honeysuckle, with a hint of jasmine and a nuance of tuberose. Ever eat fresh coconut? Not the shredded kind your get on cupcakes, but the soft, fresh, juicy coconut meat that comes right out of the shell? Yum. 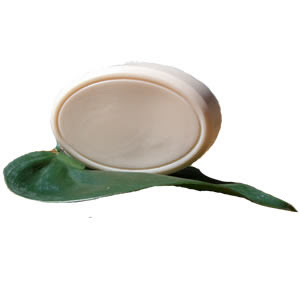 Our Creamy Coconut Soap and Shampoo Bar is as white and creamy and fresh as the inside of a newly-cracked coconut. 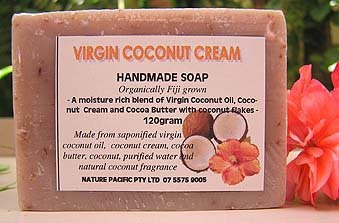 It is made with pure coconut oil, and is very lightly fragranced with coconut scent. 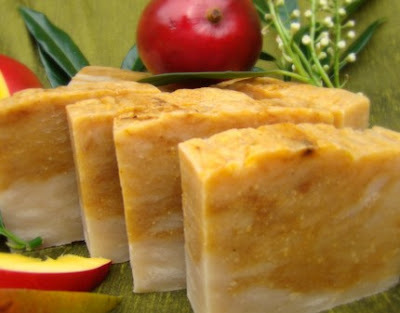 Enjoy the sweet smell of the tropics with this wonderful handmade soap. A beautiful handcrafted natural soap enriched with Vitamin E and scented with pure Tahitian Vanilla Bean Extract and Coffee Essential Oil. Gentle formula with ultra skin-softening Goat's Milk and Shea Butter. Irresistible! 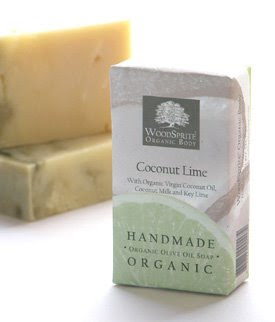 This uplifting handmade soap is made with cold-pressed, organic virgin coconut oil and real organic coconut milk for a creamy, dreamy, super luscious lather kissed with just a twist of fresh key lime essential oil. Glycerin Soaps Is bigger really better? When it comes to our glycerin bars, at twice the size of most glycerin soaps, we think so. 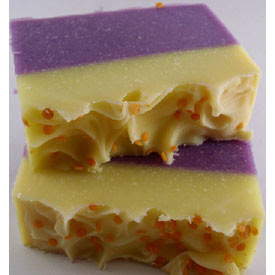 These soaps are bright in color, rich in scent and fun all around. 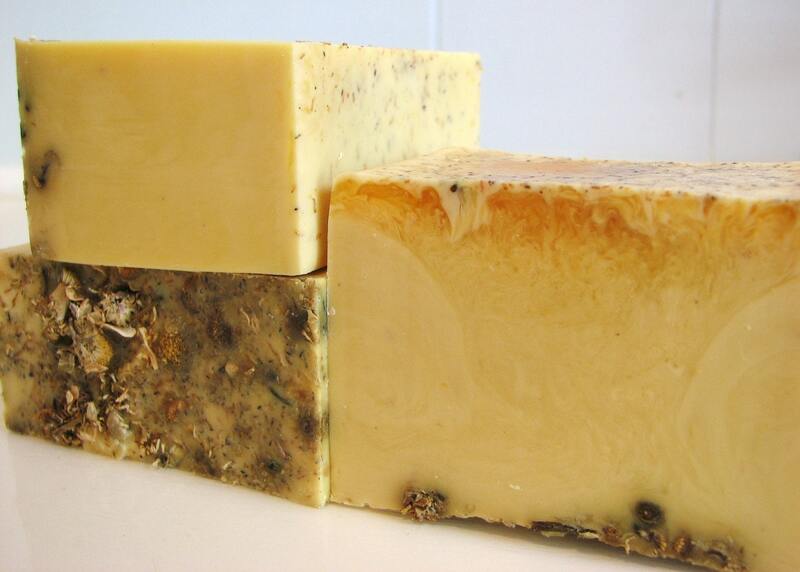 Like all our soaps, we start with a 100% vegetable base and never include artificial colors or fragrances. You’re going to love the way our glycerin soaps leave your skin feeling refreshed, smoother and softer. The tropical, fruity, intense ripe sweetness really shines through in this mango delight. you'll think you're in the tropics. A very, very strong, dry, tart lemon with notes of lime, Litsea Cubea, and Eqyptian geranium, anchored with a touch of cedar and other woodsy base notes. Strong fresh camphorus-like odor with a sweet lemon scent. Phthalate Free!